HD Tailang Swami was a great Hindu Yogi who has divine powers. For most of his life Tailang Swami stayed in Varanasi, India. It is believed that Tailang Swami was an incarnation of Lord Shiva due to which few disciples referred him as The Walking Shiva of Varanasi. Tailang Swami lived a very long life of around 280 years. 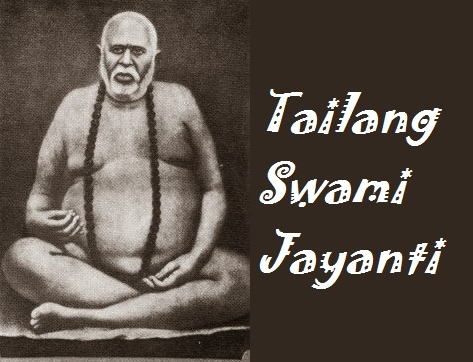 Tailang Swami was also known as Telang Swami and Trailanga Swami. तैलंग स्वामी बहुत बड़े सिद्ध पुरुष, योगी और तपस्वी थे. इसमें एक ऐसी अदभुत शक्ति थी. जिससे ये अपने सामने बैठे हुए व्यक्ति के अंतर्मन में क्या चल रहा हैं यह जान लेते थे. तैलंग स्वामी बहुत ही नम्र स्वभाव के संत थे. इसलिए इनकी याद में प्रतिवर्ष माघ महीने में इनकी जयंती मनाई जाती हैं.